Bed bugs are accomplished hitch-hikers and can be transferred anywhere people may travel including buses, trains, and airplanes, hospitals, schools, homes, offices, theaters, and public buildings. Cryonite is ideally suited for bed bugs because it can be used in most any environment on most every type of surface. People and pets can remain in areas being treated with Cryonite, though it is recommended treatment areas be vacated as often residual treatments will be made following Cryonite application. Bed bugs are difficult to control but are highly susceptible to being killed by direct contact with Cryonite freezing technology. Successful control of these pests is multifaceted. Download our step-by-step guide on ridding bed bugs. Bed bugs are difficult to control but are highly susceptible to being killed by direct contact with Cryonite freezing technology. Successful control of these pests is multifaceted. 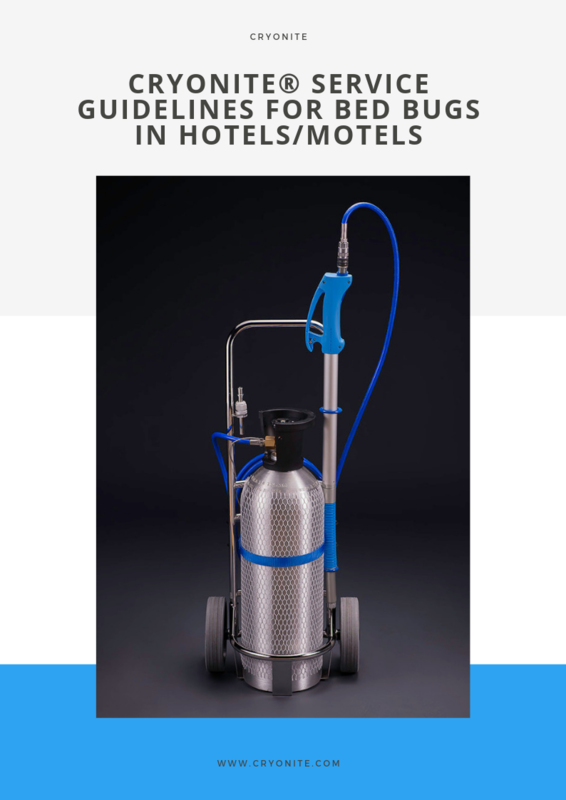 Download our step-by-step guide on ridding bed bugs.